Update: The trading system does not actually involve ripping off faces of any sort. The Behemoth has clarified that rather there is a trading post in-game where players can view their other players’ inventories and select what they want and the other player can do the same. 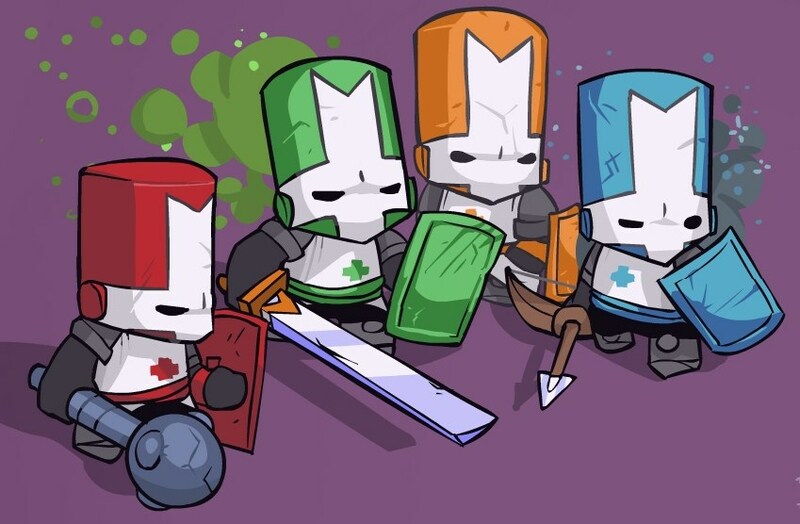 Fans and players of Castle Crashers will recall the massive frogelope (antler laden frog, I don’t know) wherein all the weaponry was stored was sometimes more trophy case than armory as players without the unlocked weapons could not access them. To circumvent that players would take the weapons into levels, swap them for easy to find weapons and allow newer players to pickup the rarer weapons they didn’t have. Dan says Behemoth got get rid of all that convolution and put in a full-fledged trading system into Battleblock Theater. Throughout every facet of the game players collect gems and balls of yarn for their crazy cooperative completions as well as their adversarial arena animosity. Cat guards, in their infinite incompetence, are easily distracted by balls of yarn and will leave their post when given one allowing players to unlock a new weapon for use in both story and multiplayer. Money (the green gems scattered throughout the cooperative levels and rewarded for performance in the multiplayer arena) can be used to set prisoners free who in their gratitude sign away rights to their visage for use across all modes. Got a favorite prisoner you can’t wait to release or weapon you want? Too bad, every unlock is randomized in Battleblock Theater. 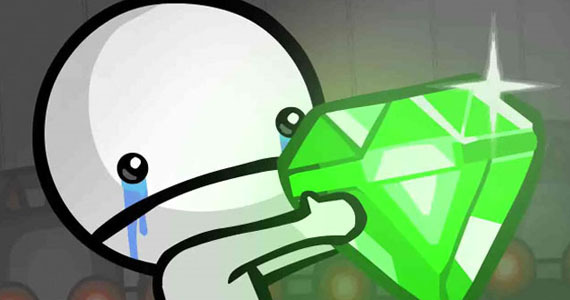 Now before you cry Hatty-like streams of broken dreams, there is a major feature in Battleblock Theater that allows players to trade with anyone they meet online. See a face someone else has that you want but don’t have, rip yours off and toss it to them and they’ll do the same, we’re told it’s an incredibly painless procedure. Weapon trading is also totally doable and doesn’t require any surgery what so ever. Keep in mind however there are no duplicates in Battleblock Theater, so while you’ll never have to worry about unlocking duplicates, you’ll also be trading away your only instance of anything, so make sure you’re getting what you want in the trade. When asked about how much trading would be going on, Dan assured us that there’s over a couple hundred unlocks and climbing; game’s not done yet! Now of course there aren’t as many weapons as there are faces, so don’t worry about missing out on full gameplay features for too long, but even after dozens of hours of gameplay it’s unlikely even half the available selection will be unlocked for any one player. Players with equivalent play times are likely to have completely different repertoires and wardrobes. Look forward to this awesome community-minded feature in Battleblock Theater later this millennium. Dan assures us that much progress has been made (it was pretty clear they’ve come a long way since last year) and development is narrowing down. The foundation is complete, most of the gameplay features are rounded out, but there’s more tweaking to be done. Dan says he’ll be adding prisoners for as long as he can. If you’re interested in which prisoners have been detailed so far, check out our coverage on their prisoner dev diaries.